This project is the result. 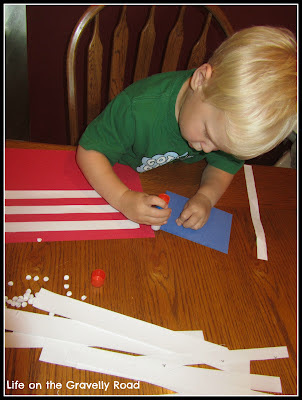 Here's what we used: a full sheet of red construction paper, a partial piece of blue paper, long strips of paper from cutting printed coupons, glue and the cutouts from 3 hole punch in my husband's home office. 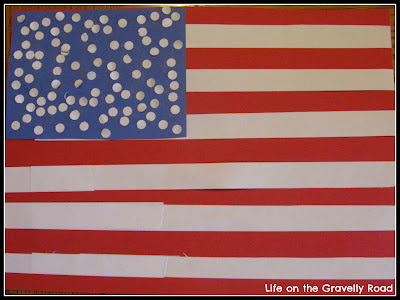 My little boy enjoyed glueing all the hole punch circles to make the stars. I helped him glue the stripes in an adempt to keep them straight. 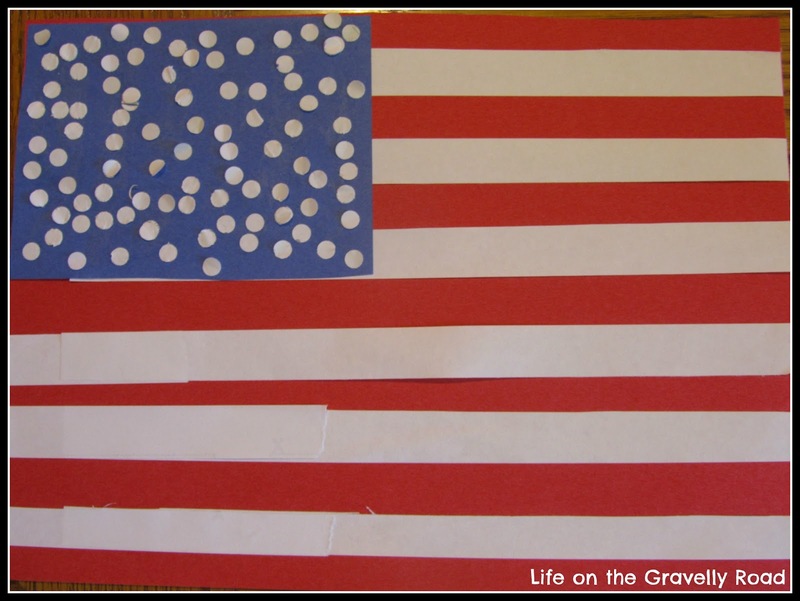 Working together also gave us time to talk about the significance of the parts of the flag. 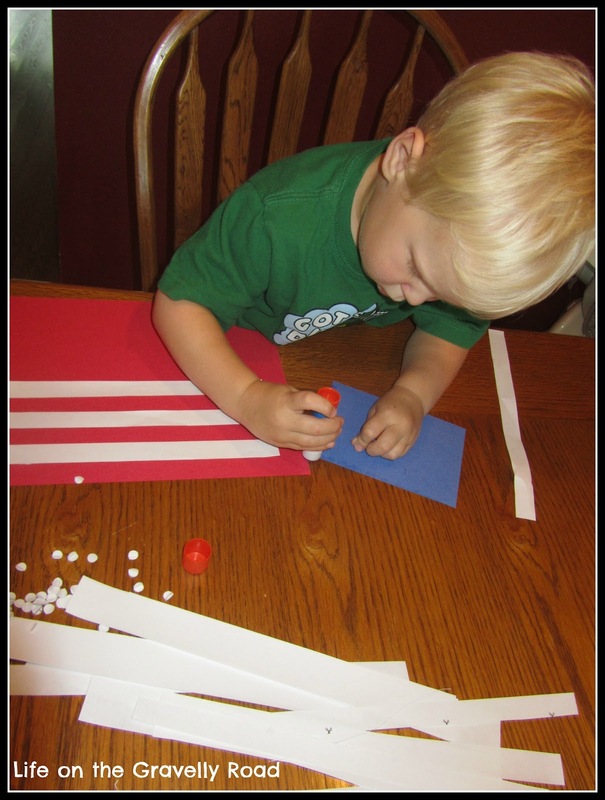 Since this and the last flag craft we did, he's been noticing the flags flying around town. We're still working on the difference between a town and a state, so I'm pretty sure he doesn't understand what a country is. The more we talk about it though, I think he'll get a better idea of the importance of the flags he sees. 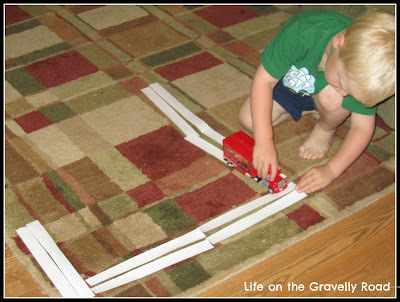 After we finished our craft, he took the remaining "stripes" and created roads for his trucks. Being creative with what he has!